Roddy was over in Las Vegas for IMEX America, the biggest tourism trade event in the calendar; America’s worldwide exhibition for incentive travel, meetings and events. 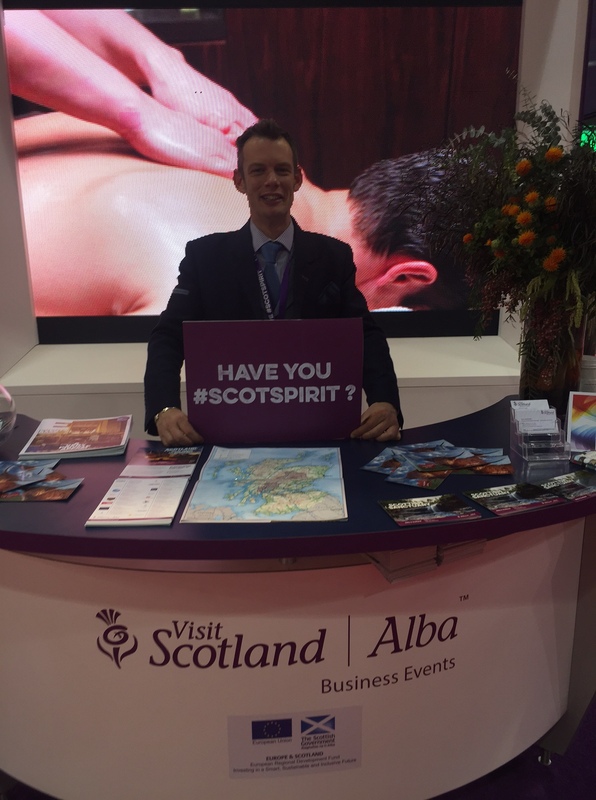 Roddy was working alongside Visit Scotland to help promote Scotland as a destination to international group buyers. Roddy started the group presentations with some Scottish music on his small pipes, before reciting Robert Burns Address to the Haggis. With current international trade restrictions, this meant addressing a furry haggis, but it was still well received and had the usual impact! For the afternoon cocktail hour, Roddy presented whisky tasting experiences for the guests. They were talked through the intricacies of Scottish single malt whisky. The guests enjoyed a great taste of Scotland as they sampled Auchentoshan Three Wood, Scapa and Bowmore 15. For the on stand party on the Wednesday night, Roddy played some of his dance music bagpipes before amassing a great ceilidh dance on the Visit Scotland stand. Have a look at the video of the whole event here, including the ceilidh. Thanks to Rocket Exhibitions and Events, Visit Scotland and Las Vegas for making it all possible.